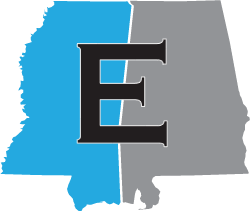 The Estes Law Firm is proud to have once again been a sponsor of the Tri The Gulf Triathlon held on Dauphin Island, Alabama on October 20, 1018. The triathlon is a sprint distance triathlon consisting of a one third mile swim in the Gulf of Mexico, a 16.7 mile bike ride across the Dauphin Island bridge, and a 3.2 mile run through the neighborhoods of Dauphin Island. Take a look at this video showing the various parts of the triathlon (look closely – you may recognize a few people!). Each year close to 300 racers complete this triathlon. All proceeds from the race are distributed by the Mobile Bar Foundation to various charitable groups in our area, including the Boys and Girls Club of South Alabama, Big Brothers Big Sisters of South Alabama, Drug Education Council, Mobile County Volunteer Guardian Program, Dauphin Island Police, Fire and Rescue, South Alabama Volunteer Lawyers Program, and many others. Our Managing Partner, Chris Estes, is an original member of the Race Steering Committee and has served as the Bike Course Director for the race for the years 2016, 2017, and 2018. The Estes Law Firm has been a sponsor of the race since its inception. If you are looking for a first time triathlon, this is an excellent race to give a try. Or, if you are just looking for something fun to do on a Saturday morning in October, please come out to Dauphin Island to watch the race and awards ceremony.